The Old Burying Ground in Essex was established in 1680 for inhabitants of Chebacco Parish, the former part of Ipswich which broke away and became the town of Essex in 1819. It was in that year that people in the parish began noticing lights moving about at night in the graveyard. It was soon discovered that the body of 26-year-old Sally Andrews who had died of consumption (tuberculosis) had been removed from her grave. Upon further examination it was discovered that at least eight graves had been dug up and their coffins were likewise empty. Two bodies were those of 10-year-old boys Isaac Allen and Phillip Harlow who had died in October 1817. Others included Mary Millet, aged 35; William Burnham, 79; Elisha Story, 65; and Samuel Burnham, 26. The mystery behind the body-snatching was resolved when it was discovered that Thomas Sewall, a brilliant and promising doctor, was in possession of an “unsanctioned corpse” and conducting anatomical research. The young physician, a native of Maine, was married to Mary Choate, daughter of Captain David Choate and Miriam Foster of Chebacco. He was respected for his medical skill, had ministering to the sick and dying, and was a regular attendant at worship. Nonetheless, an 1815 law made it a felony to rob a grave, and despite hiring Daniel Webster as his lawyer, Sewall was found guilty on two counts of knowingly and willfully receiving, concealing and disposing of the bodies of two of his patients. He was fined $800 and ordered out of the community. Underneath the old “Hearse House” at the Essex Old Graveyard is said to be the common grave of the eight re-interred bodies. 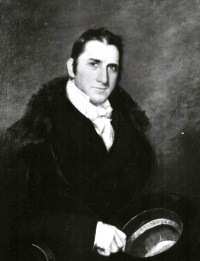 Dr. Thomas Sewall was fined, an the Treasurer of Essex County was ordered to pay William Andrews Junior the sum of two hundred and fifty dollars out of the fines for his work as prosecutor. Doctor Sewall moved to Washington, DC and went on to found the medical school at Columbian College, now a part of George Washington University. In 1821 he was appointed Professor of Anatomy in the National Medical College, and retained the chair for life. Sewall is best known for eight graphic drawings of “alcohol diseased stomachs” that he prepared in support of the temperance movement of the day. Ironically, Dr. Thomas Sewall died of tuberculosis in 1845 at the age of 58. Fantastic story – thank you, Gordon.